This documentation is divided up into 6 pages. 1. This page describes the connections to the USB-ISS, the USB driver installation and setting of the USB-ISS operating modes. Five further pages describe the operational commands and the Boot-Loader. 4.Serial Operation, describes how to send and receive serial data. 5. I/O Operation, describes how to set pins high/low and read digital or analogue inputs. 6. Boot Loader, describes how to update the firmware in the USB-ISS. Before connecting the USB-ISS module, you should download the driver and unzip it to a temporary folder. Now connect the USB-ISS module and navigate windows to the temporary folder and install the driver. The USB-ISS will now appear as a COM port. After installing the drivers, and plugging in the USB-ISS module to a spare USB port, you will want to know which COM port it has been assigned to. This will vary from system to system depending on how many COM ports you currently have installed. To find out where it is, right click on your "My Computer" desktop icon and select "Properties->Hardware->Device Manager". Now scroll down and open the "Ports (COM & LPT)" tab. You should see the USB serial port listed - COM5 in the example below. If you want to change the COM port number - just right click on it, select properties, select advanced and select the COM port number from the available list. The COM port default will probably be set up for 9600 baud, 8 data bits, no parity and one stop bits, but what ever it is just ignore it. These settings are not actually used because we have a full 12Mbits USB connection right into the heart of the processor. The diagram below shows the connections for the various modes. Power Link - Remove for 3.3v operation. The processor on the USB-ISS is equally happy running from 3.3v or from 5v. With the LEDs it takes up to 20mA so when 5v is selected by linking the power select pins, the USB-ISS module can supply up to 80mA to external devices. When the link is removed a 3.3v regulator supplies the power. 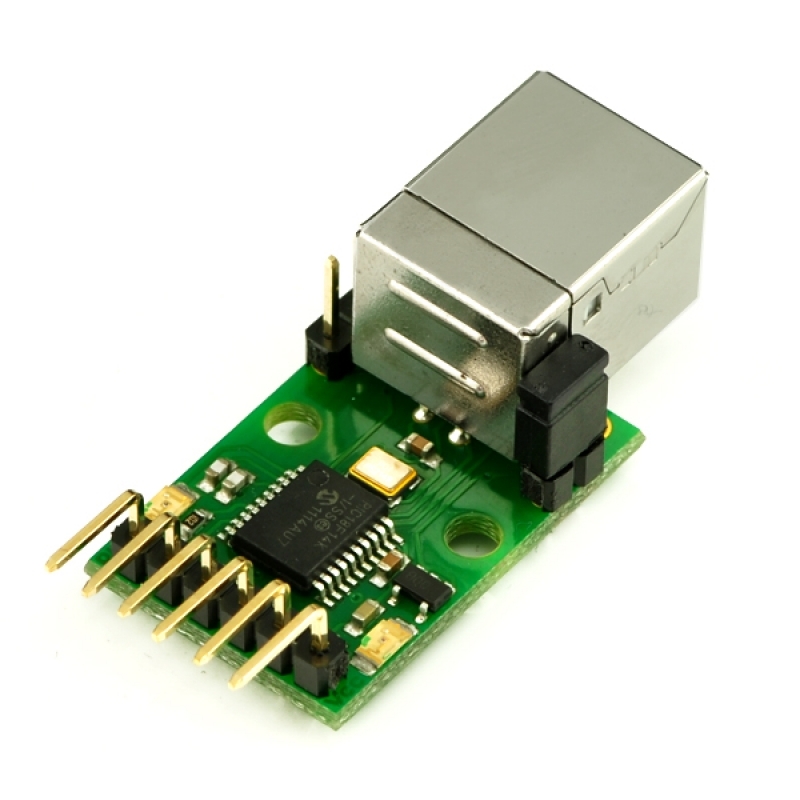 This regulator is capable of 50mA, so when running at 3.3v up to 30mA is available to your circuits. If your application requires more than this, or has its own supply, then leave the 3.3v/5v pin unconnected. Do not apply your own voltage to this pin. The Green Led is a power indication and is on all the time the module is connected to a powered USB port. The Red LED will flash whenever there is a valid I2C or SPI command received. Each I/O pin, 1 to 4, may be individually selected to be Analogue Input or Digital Input or Digital Output. Inputs will not accept voltage higher than the supply, so when operating at 3.3v the inputs are NOT 5v tolerant. Analogue inputs span from 0v to the supply for a range of 0-1023 (10-bit A/D conversion). 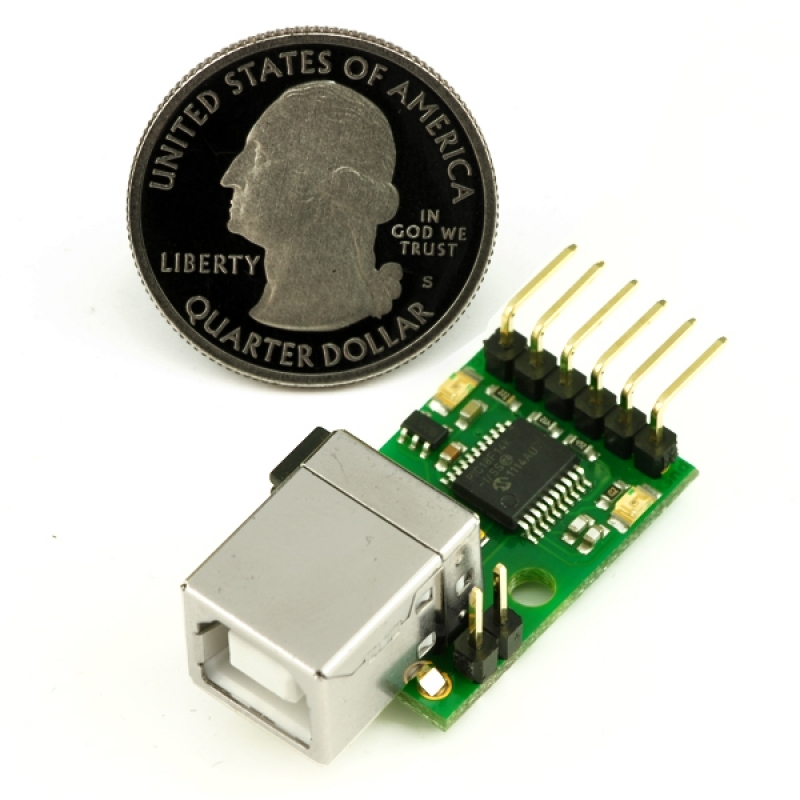 These pins are the I2C bus connections. They should be connected directly to the SCL and SDA pins on your I2C device. 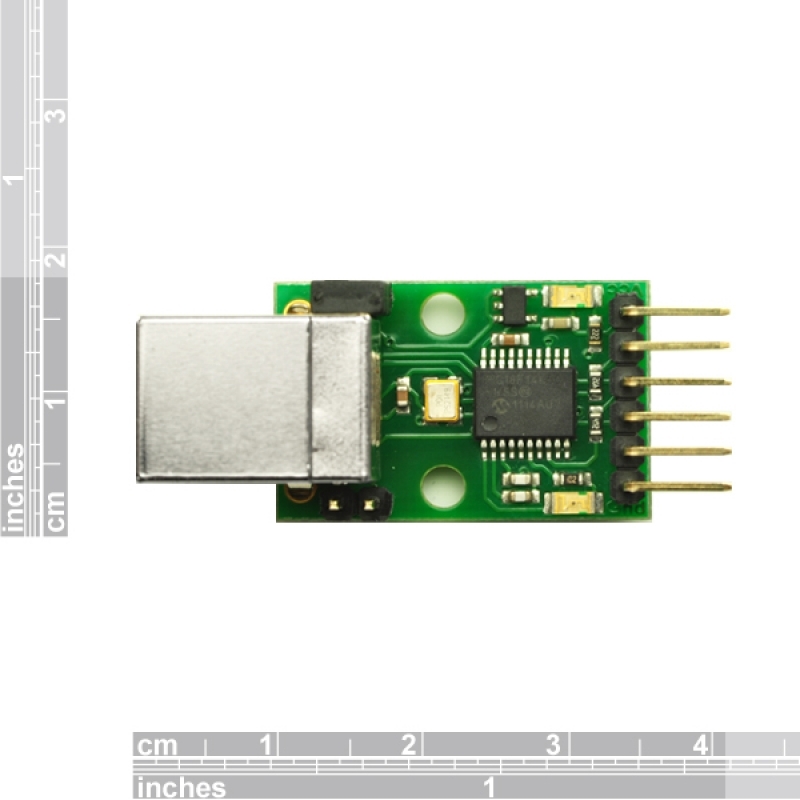 The USB-ISS module is always a bus master, and is fitted with 4.7k pull-up resistors on the PCB. These resistors are automatically disconnected in other modes. SDI is the SPI input to the USB-ISS, connect it to SDO on your device. 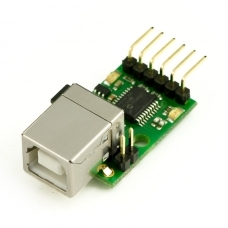 SDO is the SPI output from the USB-ISS, connect it to SDI on your device. 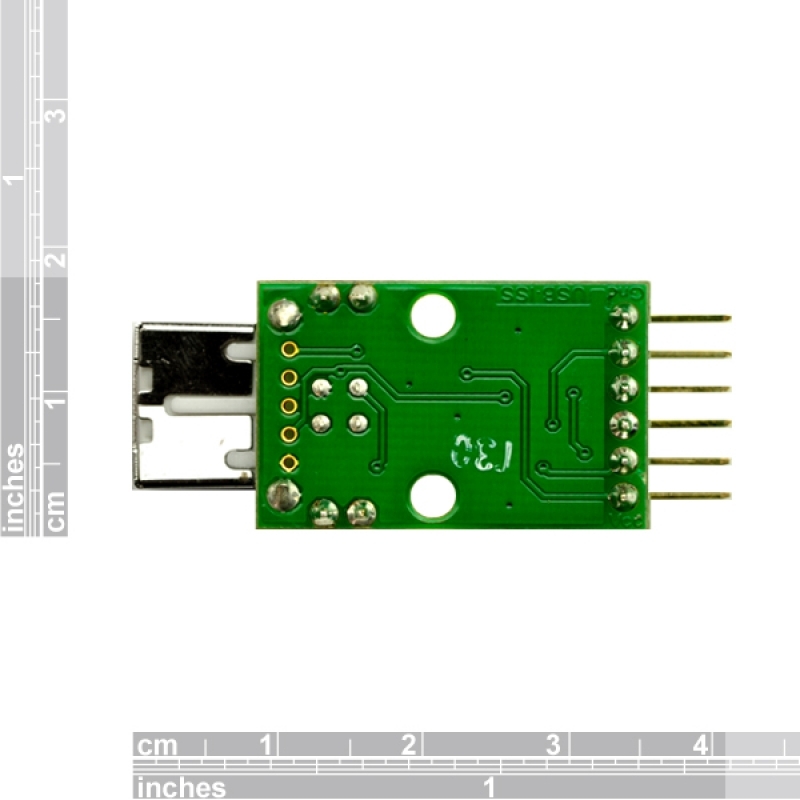 SCK is the SPI clock output from the USB-ISS, connect it to SCK on your device. CE is the active low chip enable signal, connect it to CE on your device. These are logic level signals, not RS232. Do not connect this to an RS232 port without using a suitable RS232 logic level inverter chip. The 0v Ground pin must be connected to the 0v (Ground) on your device. USB-ISS (0x5A) ISS_VERSION (0x01) Returns 3 bytes, the module ID (7), firmware version (currently 2), and the current operating mode. USB-ISS (0x5A) GET_SER_NUM (0x03) Returns the modules unique 8 byte USB serial number. ISS-VERSION will return three bytes. The first is the Module ID, this will always be 7. The second byte is the firmware revision number. The third byte is the current operating mode, ISS_MODE. This is initialized to 0x40 (I2C-S_100KHZ) on power up. GET_SER_NUM will return the modules unique 8 byte USB serial number. The received serial number will always be ASCII digits in the range "0" to "9" ( 0x30 to 0x39 ). I/O_CHANGE is not really an operating mode. It's used to change the I/O mode between Analogue Input, Digital Input and digital Output without changing Serial or I2C settings. The I2C modes will have I/O on the I/O1 and I/O2 pins. Serial mode will have I/O on the I/O3 and I/O4 pins. I2C and Serial can be combined, for example I2C_S_100KHZ (0x40) + SERIAL (0x01) = 0x41. SPI requires all four I/O pins so there are no other options for this mode. I/O mode requires one further IO_TYPE byte to set the I/O type for each pin. For example 0x01 (binary 00000001) would set I/O1 to output high and I/O's 2-4 to output low. 0xB4 (binary 10110100) would set I/O4 to digital input, I/O3 to analogue input, I/O2 to output high and I/O1 to output low. I/O mode may be combined with SERIAL mode. When combined with SERIAL, I/O1 is the Rx pin and I/O2 is the Tx pin. Only I/O3 and I/O are available as I/O pins. This is a 6 byte setup command. In all mode setting commands, two bytes are returned. See Response Bytes below. (48000000/(16*19200))-1 = 155.25 so we will use 155. 155 is 0x009B so we set the high byte to 0x00 and the low byte to 0x9B. The serial mode is compatible with both 1 and 2 stop bit formats because is transmits 2 stop bits and only needs to receive 1. There is no parity. There are 7 I2C commands as detailed above. They differ only in the SCL frequency and whether they use a software bit bashed driver or the I2C hardware in the PIC chip. The I2C command on its own will have I/O on pins I/O1 and I/O2. This is a 4 byte setup command. This example will initialize I2C to 100khz using the hardware I2C peripheral in the PIC chip. The I2C commands may be combined with SERIAL mode. When combined with SERIAL, I/O1 is the Rx pin and I/O2 is the Tx pin. This is a 5 byte setup command. The formula for calculating the baud rate is the same as for I/O+Serial above. In all mode setting commands two bytes are returned. See Response Bytes below. This mode requires all four I/O pins, so cannot be combined with serial, I2C or I/O. Refer to the connection diagram above for pin-outs. SPI mode is capable of operating in all four possible clock phases. SPI_MODE command (0x90) may combined with the phase selection bits. 0x90 is the standard mode, use this with SPI SRAM, EEPROM's etc. The maximum divisor of 255 gives the slowest SCK of just 23.44khz. A minimum of 0x01 should be set for the divisor, if you set 0x00 it will be the same as 0x01. The response to the mode setting frames is always two bytes. The first byte is ACKnowledge (0xFF) or NotACKnowledge (0x00). If you get an ACK then the second byte will be just 0x00. 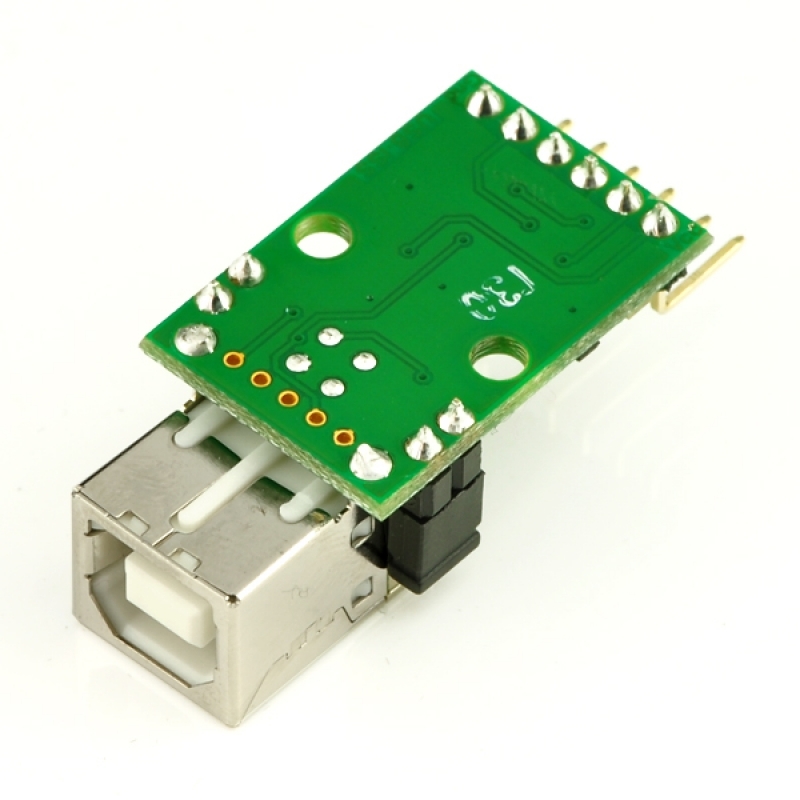 We have a small test program which will let you try out the different operating modes of the USB-ISS module. It is written in Visual C# 2010 version. Image show test of Hardware I2C at 400khz with I/O. It is writing and reading a four byte (32 bit) integer. The I/O has been set to analogue and the measured values are displayed. Here we are writing and reading to an SPI RAM. You can download just the executable files or the full source code.